Serendipitous. Why? 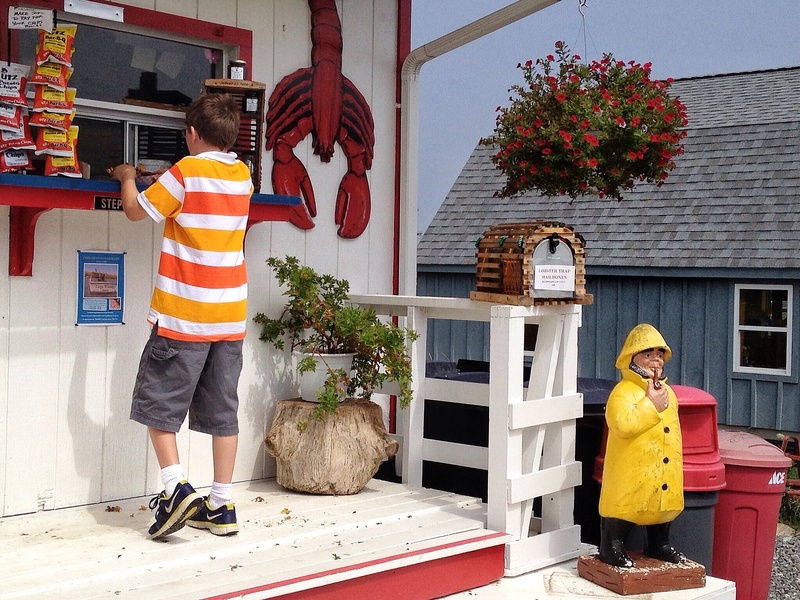 Because you were happy enough with the bright view of the red, white and yellow-orange lobster shack on the Maine waterfront, and about to push the shutter, when a boy in a red, white and yellow-orange striped shirt suddenly came into frame, to claim his lobster roll and fries, pausing right next to the matching chips. Take at look at another image with that bit of unexpected zing here. Find out about the surprising etymology, and serendipitous beginning of serendipity in 1754, here. YES! It could have been a nice shot, but suddenly it got IT! Wonderful! Thank you, Ninna. Ever have that experience yourself?